Another verdict is in on the more than 9 thousand lawsuits that have been filed against Johnson & Johnson by consumers of their talcum powder who have had a diagnosis of cancer. In this latest verdict the jury awarded plaintiffs the largest amount in these cases to date, a whopping $4.7 billion dollars. The award covers damages to 22 women and their families who say asbestos found in the company’s talcum powder contributed to their ovarian cancer. The jury awarded $4.14 billion in punitive damages and $550 million in compensatory damages to the plaintiffs, who said the company failed to warn consumers about the cancer risks. 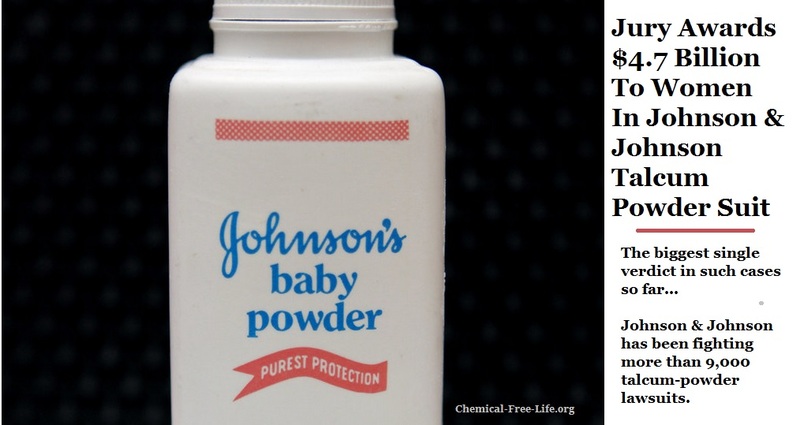 Johnson and Johnson has maintained that their products are safe and that concerns about talc being linked to cancer are based on inconclusive research.